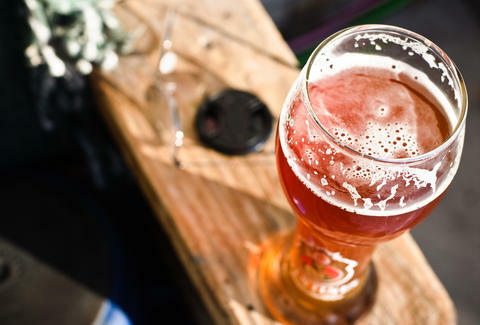 Want to find a pub in the sun? There's an app for that. There are plenty of shady pubs in London, both literally and figuratively. But for the times when you desperately need some vitamin D with your pint, there's finally an online app that will show you the light. Literally. 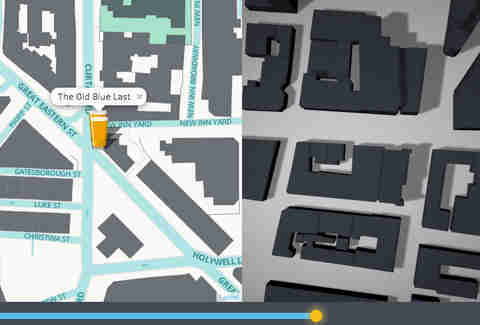 The London-based company POKE recently developed Pints in the Sun, a nifty web tool that allows you to easily find a pub near you that won't be in the shade, in two simple steps. First, find a pub by either searching for a specific spot, or just browsing the map to find one that you like the look of. Then, just slide the sun timeline at the bottom of the map to see -- in genuinely impressive 3D -- exactly when shadows will be encroaching on your chosen drinkery at any time of the day. The app is still in its experimental stages, but it uses building outline data from Open Streetmap located via FourSquare to render buildings, then factors in where the sun will be in the sky at any given point in the day, according to a Solar Almanac Calculation. Very cool (figuratively). Pete Dombrosky is an Editorial Assistant at Thrillist and he believes a cold beer on a sunny day is the pinnacle of drinking. Follow him into the light on Twitter.